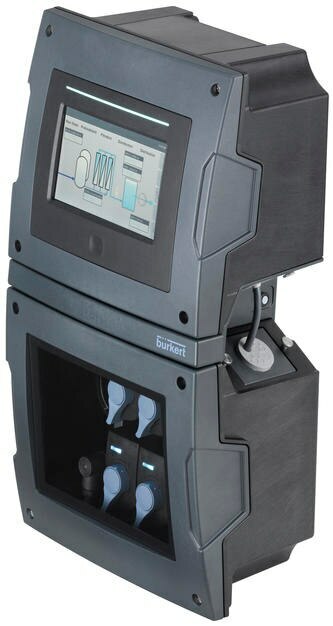 Bürkert will continue to develop more analysis cubes for the online analysis system Type 8905, covering more measuring parameters. Thanks to its modular design, the electronic control capabilities of the system can be extended as needed, adding more functionalities or communication capabilities. The fluidic backplane is the interface where all analysis cubes are connected to the water flow in parallel. That means all fluidic elements continue to operate without interruption, even when individual analysis cubes are exchanged. In the event that multiple water flows need to be analysed, or additional measuring sensors integrated, it is possible to switch on several fluidic backplanes in cascade and then operate them using one single touch display. Bürkert's engineers all share the vision of looking at things from surprising new angles in order to come up with new, inspiring answers. Once again, this approach has led them to a completely new technology: Type 8905 now integrates five analytical systems that are usually five different devices, often from different manufacturers, in one compact, extendable platform that is smaller than a beverage crate.